My Private Zangezur is the personal home page of Victor Ganjian on the World Wide Web. I decided to create a Virtual Zangezur after visiting Southern Armenia a few years ago. I found the region to be representative of the natural beauty of Armenia and its people who are hard working, friendly, and proud of their heritage. 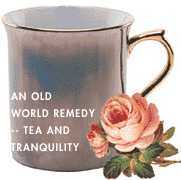 This web site includes an introduction to Zangezur as well as information on other topics that are of interest to me. Select from the items above to navigate the site. I hope you enjoy your visit to this Virtual Zangezur. Please bookmark this site as I plan to add additional items. Also, please feel free to sign my guest book below.